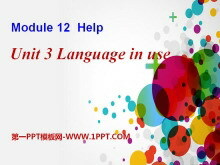 《Language in use》Help PPT课件4 祈使句 此类祈使句喑含的主语是you，但通常省略。句首或句末有时加please，还可以加上称呼语，用逗号与句子主体隔开。 祈使句表达说话人对对方的叮嘱、劝告、希望、禁止、建议、请求或命令等..
《Language in use》Help PPT课件3 学习目标: 1、掌握本?？榈拇驶阌胫氐憔渥?。 2、掌握祈使句的用法。 3、掌握情态动词 must can could 表示推测的用法。 Lead-in Look at the pictures and fill in the blanks. 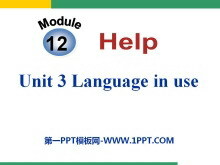 What are the..
《Language in use》Help PPT课件 Summary 祈使句结构如下： 肯定：(Please) + do sth. 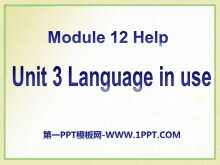 否定：(Please) + Dont do sth. 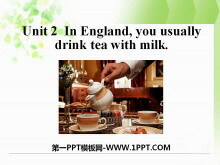 DO，可以放在动词前，为加强语气用。 如：Do come in please! 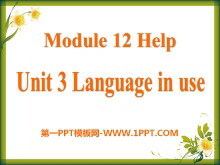 Do listen to me please! 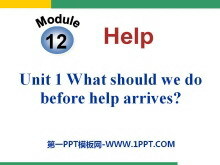 Do open the door..
《Stay away from windows and heavy furniture》Help PPT课件2 Words 1.earthquake 地震 2.prepare for 为做准备 3.warn 警告 4.inside 在里面 5.window 窗户 6.keep 保持，留在 7.brave 勇敢的 8.clear 不和接触的;不挨太近..
《What should we do before help arrives?》Help PPT课件2 Words and expressions broken adj. 破碎的 glass n. 玻璃 stairs n. (pl.) 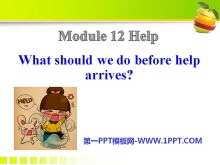 楼梯 aid n. 救助，帮助 medical adj. 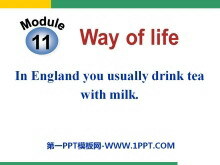 医学的，医疗的 imagine v. 想象，设想 bottom ..
《In Englandyou usually drink tea with milk》Way of life PPT课件2 Words preview experience n. 经历，经验 stay n. 逗留，停留 someone pron. 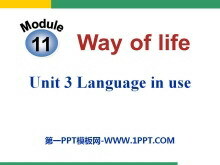 某人，有人 sandwich n. 三明治，夹心面包片 chip n. 炸土豆条，炸薯条 onto ..